Organic mushrooms for pasta sauces, omelettes and stir fries. Order online. Out of all the small varieties, we think these organic chestnut mushrooms are the tastiest, with a full, earthy flavour. They won’t shrink down too much as you cook them either – these proud veggies hold their shape. 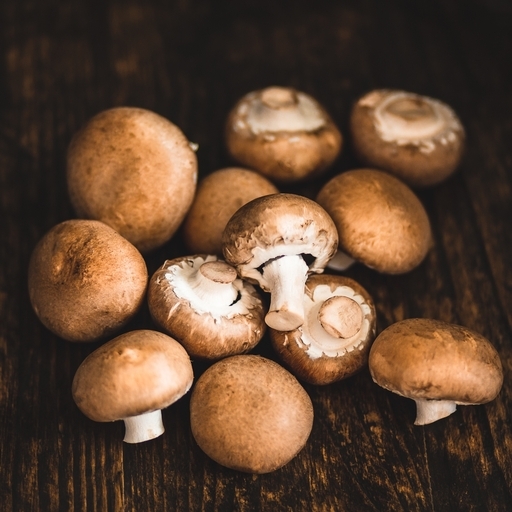 To prepare mushrooms, wipe them clean with some damp kitchen roll or a clean cloth. There’s no need to peel off the skins or discard the stalks. Roast, grill or fry. In pasta sauces, stir-fries, risottos, soups - these chestnuts are very versatile. For an easy dinner, grab a hot pan, a dab of butter, some crushed garlic, throw in your sliced mushrooms and let sizzle. Fold in a few fresh herbs if you have them and serve piping hot on thick toast with a squeeze of lemon. Keep in the fridge and eat within a few days.